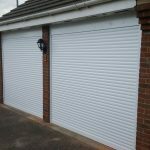 This door can be fit into garages with an opening up to 12ft wide and 7ft 6 inch high and comes with 2 handsets and a 2-year parts warranty. The prices shown are for the door and no extras unless stated. All installed door prices subject to survey. Want to purchase this door? Use our price calculator to get a no hidden fee price. 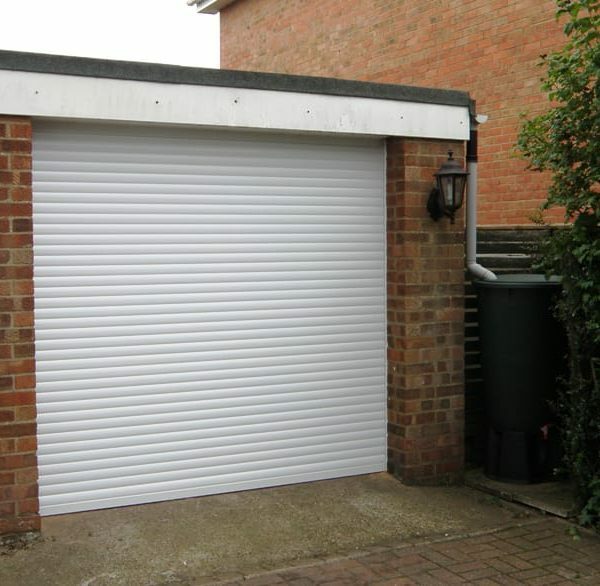 Calculate the price of your garage door for a DIY install. 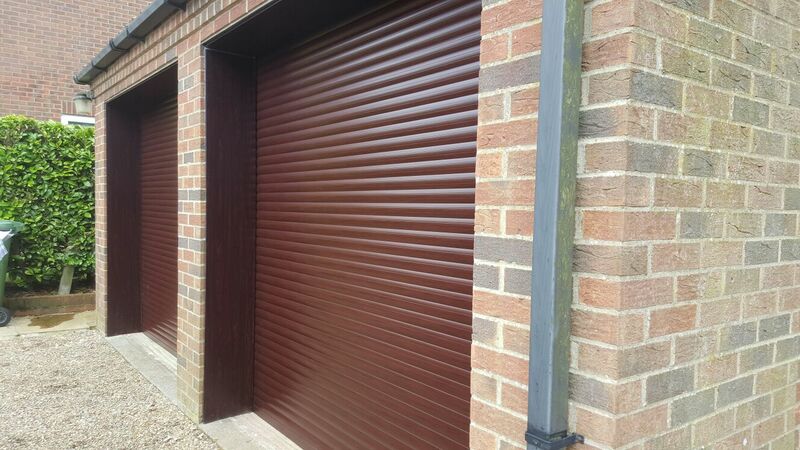 If you require your door to be installed get in touch with us directly. To help find your dimensions, view our handy measuring guide. The dimensions section is used to help with how the door will be fixed on installation, the doors can be fitted behind the lintel or below as it is a enclosed top box and the guide runners can go behind or between the pillars as it is a flush finish on each side so our doors can fit between 2 flat walls. 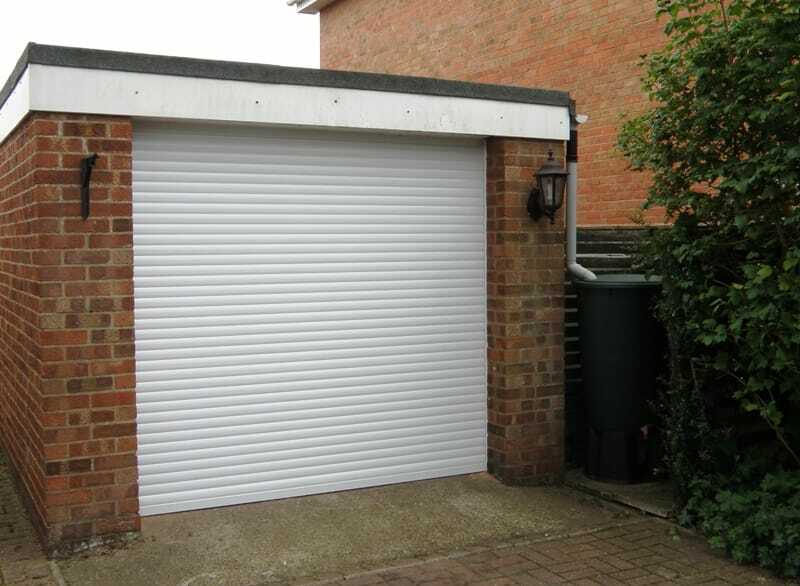 The headroom height will give you the amount of room you that is available for the top box of the roller garage door to fit into, for the RD55 the top box is 205mm square and the RD77 is 300mm square. The left and right side will give you the amount of room that is available for the guide runners to fix to, for the RD55 the guides are 65mm wide and the RD77 they are 95mm wide. The fixing position section is for you to determine how best you would like guide runners fixed. Standard back fixing: with this the guide runners will be completely behind the pillars so they are unseen from out side, you would need a minimum of 65mm each side for the RD55 and 95mm for the RD77. In Between fixing: with this the guide runners will be fitted between the walls and visible from the outside, you will need to go for the smallest sizes from your width measurement to make sure it will fit well. Limited fixing: this is for people who either don’t have the full amount of width for the guide runners to go all the way behind or if you would like the guide runners to protrude into the opening. Back Between fixing: This is for people who have a flat wall on one side and a returning pillar on the other side. To help find your fixing, view our handy measuring guide. The lintel position section is for you to determine how best you would like the top box to be fitted but please be aware that the top box needs to sit directly on top of the guide runners and the guide runners are fixed at the front of the door by the locating stem. 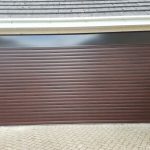 Roll under lintel: with this fixing the whole of the top box will be on show from the outside but the door does come with a front fascia to cover the roll, which is available in white or brown as standard but can be colour match with the curtain on certain colours. Half and Half: this section is for people who have room to have some of the top box up behind the lintel but not the full amount, this can be anywhere between 5mm to 200mm for the RD55 and 5mm to 295mm for the RD77. Roll Above lintel: with this fixing the whole of the top box will go up behind the lintel so it is completely hidden, please remember the top box is square so for the RD55 you would need 205mm up behind lintel and back into garage and for the RD77 you would need 300mm. To help find your lintel position, view our handy measuring guide. This is the side the power is on in the garage as if you are standing inside the garage looking at the back of the roller garage door. Please select which colour curtain you would require, please be aware that although we do our best to represent the colours available if you would like a free sample of the actual slat please contact us and we will send you one out. Please note RAL Colours come with an extended lead time of 30-40 working days. Please select which colour frame you would require, please be aware that although we do our best to represent the colours available. Please contact us if you need any more information. We have a range of optional extras available for the doors. 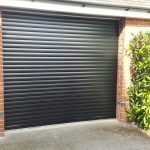 External manual override: this is for people who have no other entrance to there garage other than through the main garage door so that entry from the outside is available encase of a power failure. Rocker Switch: this is a devise for opening the door from inside the garage and can be hard wired into the receiver box. Wired Key Switch: this is a device for opening the garage door from outside the garage with the security of a key that is needed to operate and can be hard wired into the receiver box. Wireless safety edge: this can be added to the door to replace the standard hold to run option that is on the door making the door 1 press operation in both directions as the unit has a wireless sensor that if the door makes contact with anyone on closing it will stop and re-open, this also has a courtesy light on the receiver box. Wireless key switch: this is a device for opening the garage door from outside the garage with the security of a key that is needed to operate and can be coded into the receiver box so there is no need for wiring. *Please be aware this unit will only work with the wireless safety edge system. Wireless push button: this is a device for opening the garage door from inside the garage and can be coded into the receiver box so there is no need for wiring. *Please be aware this unit will only work with the wireless safety edge system. Wireless key pad: this is a device for opening the garage door from outside the garage with the security of a numbered key access that is needed to operate it means you can have access to the garage without having to carry around any keys or handsets and can be coded into the receiver box so there is no need for wiring. *Please be aware this unit will only work with the wireless safety edge system. 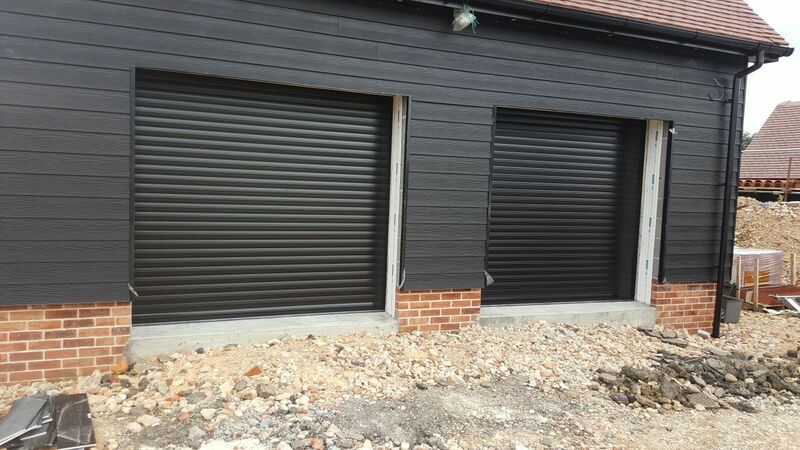 The RD77 Large Roller Garage Door measures in at up to 12ft wide and 7ft 6inch tall. 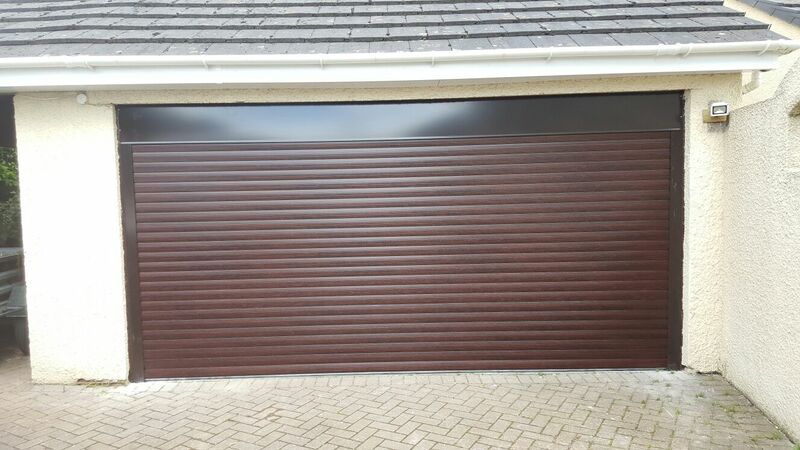 This door is highly suited to large garage doors, but can also be installed on more compact garages. 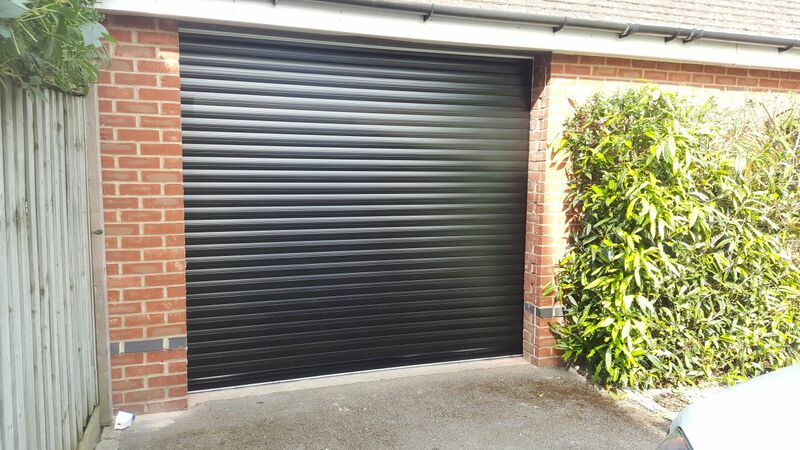 This model is highly insulating, helping to keep running costs low, and is made from robust double skinned aluminium for additional security. The RD77 comes as standard with 2 handsets working as a hold to run closing operation but can be equipped with a one-press open and close system using a wireless safety edge which also has an internal courtesy light as additional extras. For complete peace of mind, the door comes with a 2-year parts warranty. 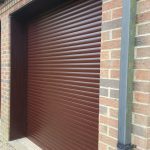 Our slats are constructed out of double skinned aluminium and have a thick, foam-filled insert to add insulation to the garage door. 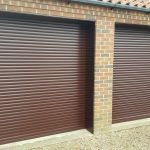 Our slats are assembled by our own on-site team to your individual specifications, ensuring a perfect fit and a strong seal. 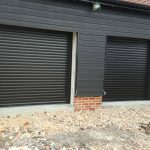 Our range of RD77 slats are 77mm high and 18mm thick, available in any of the 15 colours in our range, with 13 painted options and 2 laminate options to choose from. 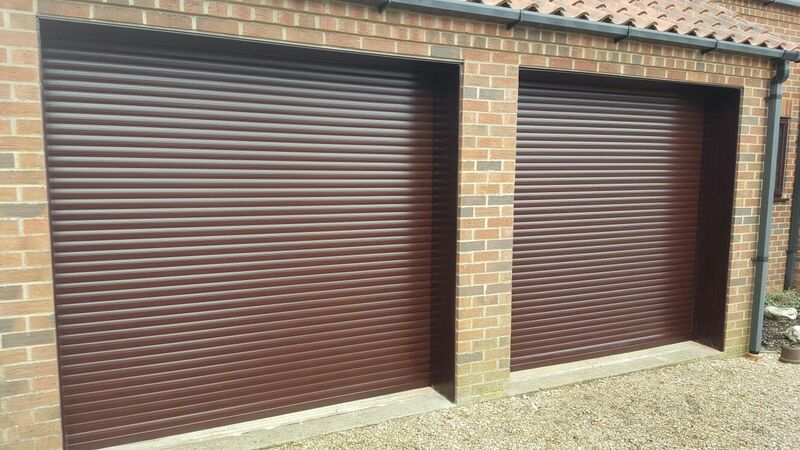 Why choose our double-skinned aluminium slats? Your quote was emailed successfully. 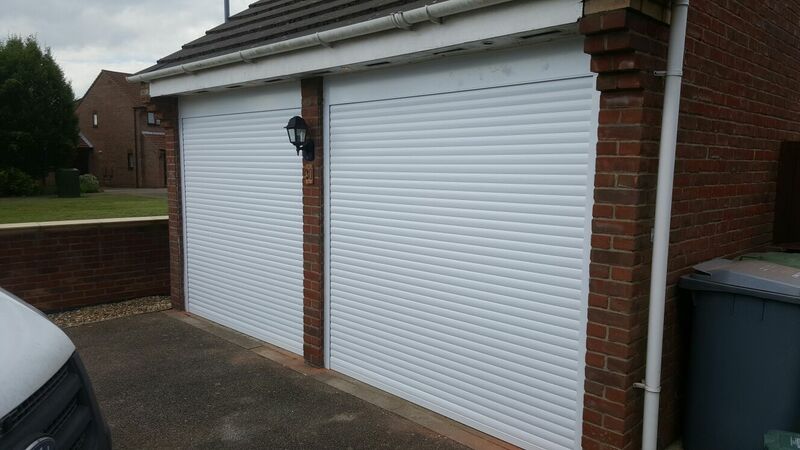 Customer service is excellent, fitters excellent too.